These Eeyore onesie pyjamas a fun gift for any Winnie the Pooh fan. Soft blue polar fleece with contrasting pink cuffs. 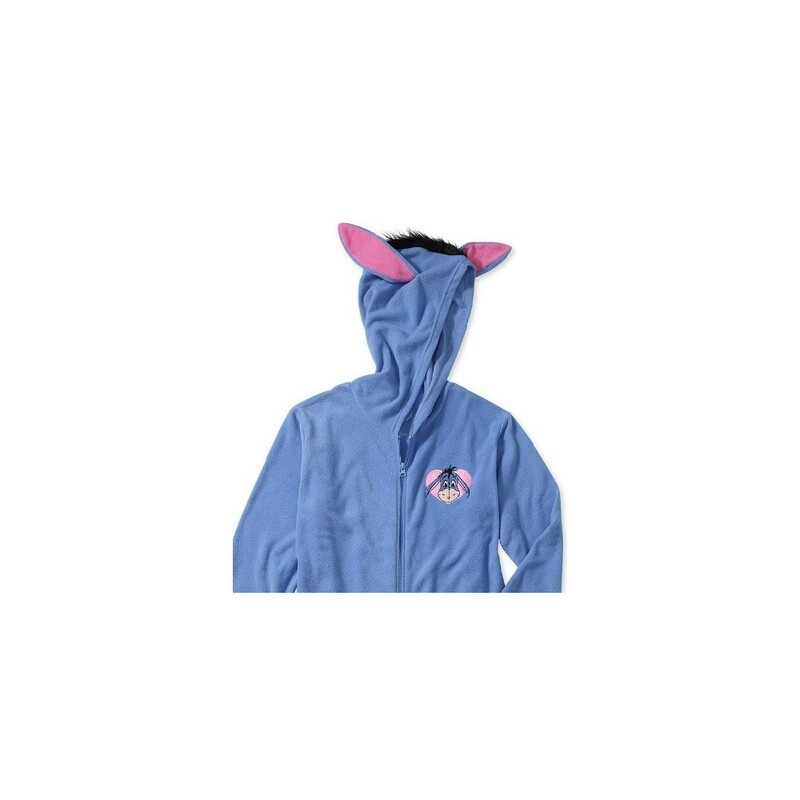 They feature a 3D graphic of the lovable character on the front left and a hood designed to look like Eeyore's ears. The pyjamas have elastic ankles, textured soles and are tag free for added comfort. They're made from 100 percent polyester and are machine washable.